In 2000 the first Mental Health Awareness week was launched by the Mental Health Foundation to help raise awareness of mental health issues and how matters such as anxiety, sleep deprivation and exercise can impact our mental health and wellbeing. Every year in May the week long campaign brings the focus to mental health with a new theme, this year being Mindfulness, to help people understand and how to deal with stress and depression. On a recent search from Google keyword tools via the Priory Group, in the UK alone the word “depression” is googled every two seconds. This is an evident reminder of the enormous stigma that exists around mental health support. Each year 1 in 4 of us will experience a mental health problem, such as anxiety or depression which is why it is vastly important that we break the stigma and learn to talk about it and how to deal with these issues. The fear of opening up about depression and wellbeing is most apparent in the workplace. The number of days absent due to sickness works out to be more than 15 million working days a year. At least 30% of GP consultations are for a mental health problem but these figures ae only scratching the surface as many people never seek help. Why? Employees are terrified of letting their colleagues know that they are struggling under pressure due to being afraid of being perceived as weak or losing their jobs if found out. This is incredibly sad and adds more wood to the fire by giving the employee who is suffering more anxiety but also adding to the economic cost of absenteeism. Instead of allowing our employees to self-diagnose on google we should be offering more support, removing the stigma attached to this by educating on the subject and making our staff aware that depression CAN be spoken about without feeling awkward, alone, or afraid of looking weak. A good place to start is by educating your employees on how to deal with stress and anxiety with our FeelRite e-learning course which can be completed in their own time on their own computer. The online course defines what stress is and what it is not, it encourages people to look at their work and home lives to identify potential causes of stress. Once they are aware of these it helps them to pinpoint areas where improvements can be made to ensure issues are managed better. The course also provides practical information and tips on how to improve coping mechanisms with stress issues at work and home. 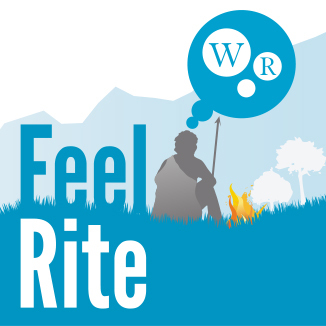 Like all WorkRite courses, FeelRite features stunning graphics and compelling interactive elements designed to help maintain attention, retain information and improve learning. At a cost of less than one pound per user per year, it’s a very small price to pay for the potential benefits on offer – both personal and financial. Get your free trial now or, if you want to know more, call us on 0345 345 0030.